Kevin Miller’s first novel is filled with flying action and adventure – and also examines the actions of imperfect humans as they follow their own agendas in a disciplined world of unrelenting pressure and danger. 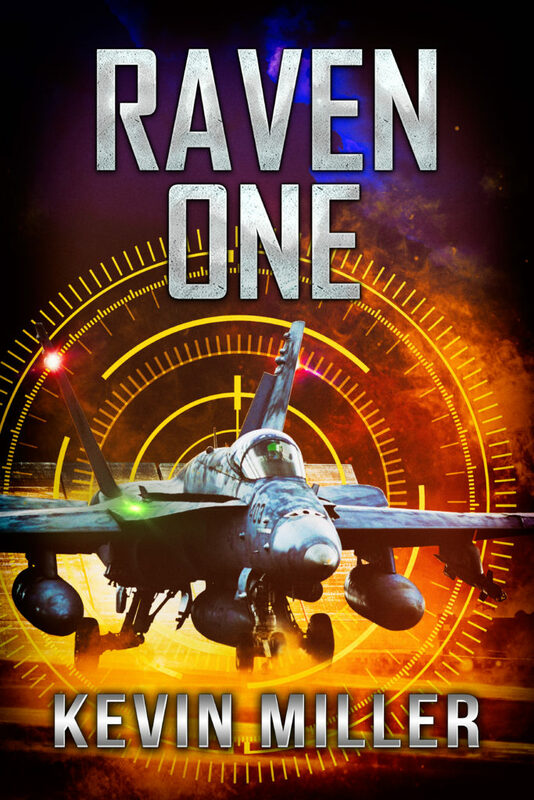 Raven One places you with Wilson in the cockpit of a carrier-based FA-18 Hornet…and in the ready rooms and bunkrooms of men and women who struggle with their fears and uncertainty in this new way of war. They must all survive a Middle-East deployment that takes a sudden and unexpected turn when Washington orders Valley Forge to respond to a crisis no one saw coming. The world watches – and holds its breath. The United States has been fighting – and arguably losing – the so-called “War on Drugs” for decades. 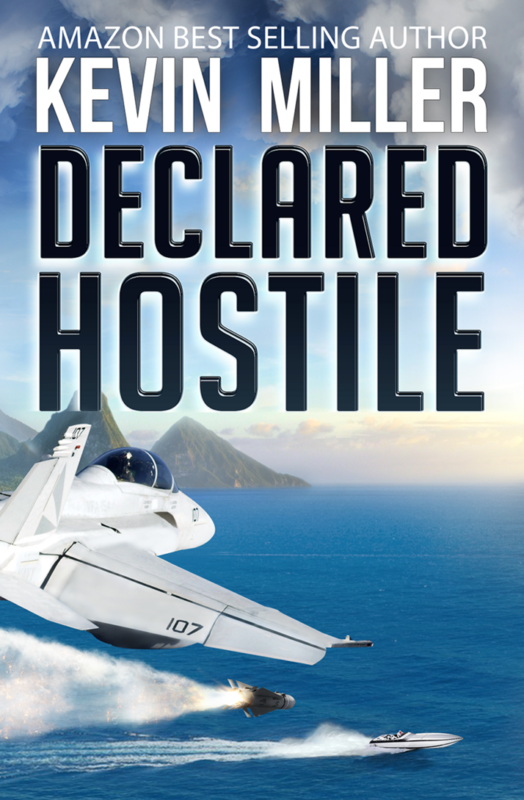 In an unusual assignment, the nuclear-powered aircraft carrier Coral Sea is sent to the Caribbean for training, but that is only the cover story. Jim Wilson is back as a carrier pilot in the Firebird squadron caught up in a shadowy world of covert operations that turns into actual combat with a blend of nation-states and powerful drug cartels intent on doing harm to the United States. As he did in Raven One, Kevin Miller brings to life the men and women of Coral Sea – and the human emotions of their enemies fighting them. Societal and geo-political issues of interpersonal and international conflict are raised which there is no clear answer, causing the reader to reflect and ponder. High-level military command relationships are explored, and the emotions of jealousy, greed, courage and betrayal are found on both sides in this human story. This epic novel takes to a new level the authentic high-g flying action as well as the deep and interesting characters Miller is known for. 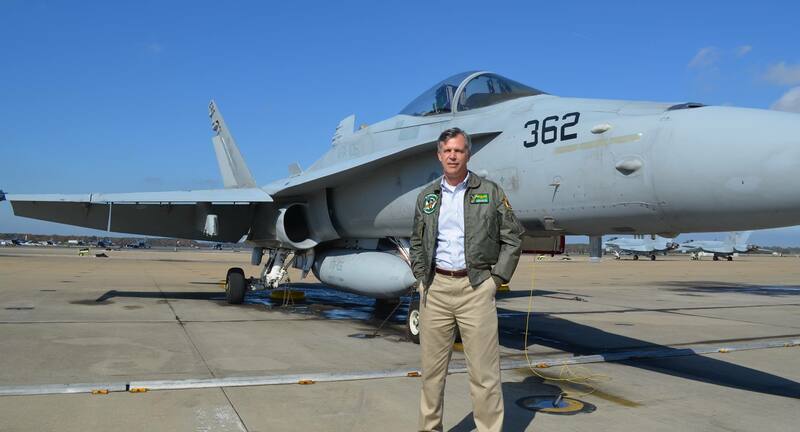 A retired Navy fighter pilot remembers his training flights at Naval Air Station Fallon, and relives them as he gazes at the training range from an airline seat years after his last flight there. 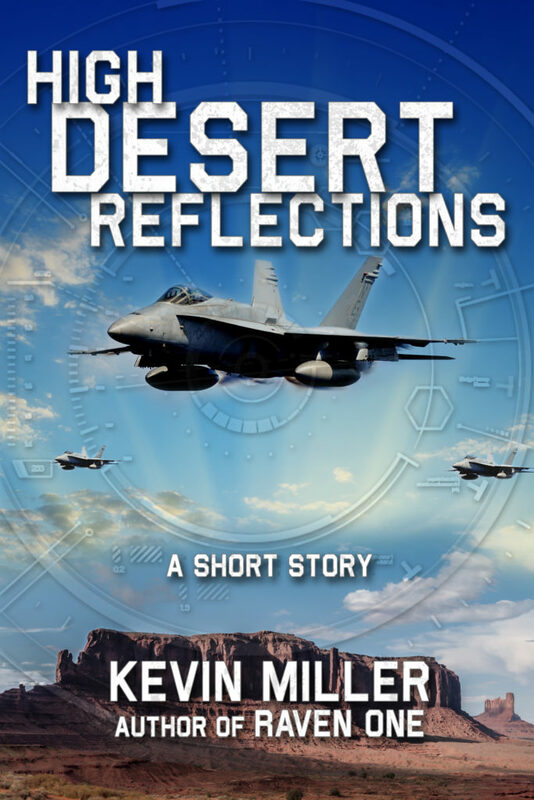 In his poignant and best-selling short-story autobiography, Kevin Miller, author of the military techno-thrillers Raven One and Declared Hostile, recounts some of his memories of flying in the high desert, taking the reader into the cockpit of a FA-18 Hornet over the skies of Fallon, Nevada in simulated air combat exercises that convey the intensity – and exhilaration – of flying high-performance aircraft in complex formations characterized by teamwork and precision. You’ll not look out the window of an airliner in this part of the country the same way again after you read about this human story of high-speed adventure – and humble commitment – that our military pilots past and present experience in training before they deploy overseas. Five Stars - Absolutely the best naval aviation story ever written. Should be on the New York Times Best Seller List! - OUTSTANDING read by Kevin Miller. This is definitely a book I couldn't put down. Excellent storyteller and I really hope there is a sequel! Exciting, Well Written - From the first page the author grabs you, slams you into the cockpit and launches you into a great story. He not only tells a thrilling story but also shows you what leadership is and the human story that makes all the techno-thriller plot work. Well done. Character Development is Excellent, Story Line is Compelling - Not since the last authentic Clancy have I read a more authentic feeling story. Probably because Kevin Miller was writing from extensive knowledge of the language, behavior and technology used by the protagonists. Character development is excellent, the storyline is compelling, and the book is an absolute joy to read. Can't wait for Miller's next book. Kevin Miller Hits a Home Run with his First Novel - It's been years since I've stayed up nights to finish a book. I couldn't put this one down. Raven One is very well written, exciting to read and ample suspense for even the most demanding reader. Move over Dale Brown! Wow! - This is an I-can't-put-this-down aerial thriller! One of the very best combat flying books I have read. If you like the details of flying combat jets from carriers, this is as good as it gets. Super Engaging - Wonderful read backed up by deep knowledge of the subject matter. Couldn't recommend this more heartily. I'm incredibly impressed that this is Miller's first novel, too! Well worth your time and attention! What an Amazing Book! - I loved this book, the style of writing, the action and the characters. I could not put this book down. The detail of it was amazing, and I was engrossed in it from start to finish. It was incredibly well done, and I felt like I was flying at times... It was a great adventure. An awesome author, and an equally brilliant book. Thank you. Naval Warriors of the Sky - This book reveals the life of naval warriors who, as pilots, flew off carriers in the Gulf of Oman against Iraq and Iran. Kevin Miller, a former naval aviator, gives the reader his amazing insight into the minds and hearts of the men and women who fly missions in combat. You are in the cockpit, experience the carrier take off, the enemy SAMs, antiaircraft ground fire, and the intensity of delivering the ordinance to the ground targets. You live the fears and anxiety of air to air combat, where the pilot's skill and airframe's capability are measured against the enemy's. This is a totally captivating story, told by a pilot who has been there and done it. Excellent reading. An Outstanding Book That You Can’t Put Down! - I am an avid reader of a variety of writing genres, but rarely have I encountered a book of any sort that so captivated my interest. As one would expect, it puts you in the seat of a carrier based FA-18 Hornet as the pilot trains for and engages in war. But it does much more than that by defining the professionalism, commitment, courage and camaraderie or our naval aviators. It lets the reader understand, as well, the sacrifices that these men an women (and their loved ones) make to protect the nation they serve. It should be required reading for every American.